cyberseraphic » Goog or bad? Nobody likes advertising. Don’t get me wrong, some ads are very artistically creative, and others are entertaining. But as a whole, we find advertising intrusive – that’s its nature: to inform you about something that you otherwise wouldn’t have known about. There is a flood of information out there, and part of our lives involves wading through and picking out the bits that are relevant to us. We’ve essentially reverted back to a hunter/gatherer species, except with abstract needs such as information and entertainment instead of the basic needs of food and shelter. The Internet is one such morass of information, and Google purportedly came along to help us sift through it to find what we want. Hooray! we think, under the delusion that this would slowly push back the ever-increasing encroachment of advertising into our lives. Oh how wrong we were… Google is now probably the world’s largest advertising company. It’s entire revenue model is based on the selling of ads, and the total volume of ads that we now see on a daily basis has increased, not decreased. That’s not to say what they do is without merit, but look at their business strategy: identify a technological category which could be monetised by advertising, assimilate it into the Google family, crush the opposition, and move on. It might seem benevolent for them to offer something that previously cost money for free, but in doing so they’re making the true costs opaque. Users of Google AdWords simply trust that the cost of bidding on a keyword is driven by “market forces” but how do we know that Google isn’t taking a bigger cut than they deserve? Even more scary is their recent foray into the political realm, provoking China over the issue of censorship. Regardless of which side of the fence you sit on in regards to the Great Firewall, Google’s actions should be troubling: they are leveraging moral issues for financial gain, turning their corporate mantra of “don’t be evil” into a mission statement. 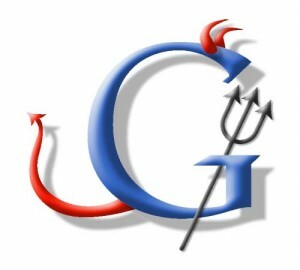 With its superpowers, will Google don a metaphoric cape and start fighting against what it perceives to be “evil” – i.e. countries, religions and political systems that stand in the way of its financial gain? wha- they’re provoking China? I’ve not been keeping abreast of current affairs. I’d better google it now! I’m sensing a bit of anti-capiltalism sentiment here, which my tiny inner socialist idealist loves. But I think a more worrying issue about Google is the sheer amount of personal information they collect and store on each of us. It’s freaking scary. Heh. You know what’d be funny? If somebody discovered some kind of bias in the search results.